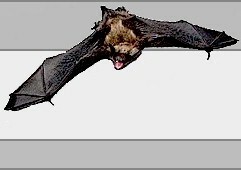 Bat Removal and Bat Pest Control referral in these states: Alabama, Alaska, Arizona, Arkansas, California, Colorado, Connecticut, Delaware, District of Columbia, Florida, Georgia, Hawaii, Idaho, Illinois, Indiana, Iowa, Kansas, Kentucky, Louisiana, Maine, Maryland, Massachusetts, Michigan, Minnesota, Mississippi, Missouri, Montana, Nebraska, Nevada, New Hampshire, New Jersey, New Mexico, New York, North Carolina, North Dakota, Ohio, Oklahoma, Oregon, Pennsylvania, Rhode Island, South Carolina, South Dakota, Tennessee, Texas, Utah, Vermont, Wisconsin, Virginia, Washington, West Virginia, Wyoming. Disclaimer: Our listings of bat removal and bat pest control services are offered by our listings as an open service. The presence or lack of presence on this listing does not imply as an endorsement by the owner of these referrals. VaMoose Varmint highly recommends that the property owners carefully examine any bat removal or bat pest control business before engaging in its services. We have provided information to assist you in finding a bat pest control, or bat removal service in your area.